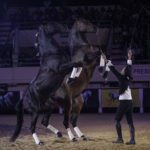 The Gonzalez Horse Show performances are high level, creative and innovative, gathering technique, mastery, poetic charm, emotion, with rhythm and dynamism for some of them, or gentleness and spell for others. 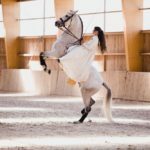 Horses are always brilliant, happy and playful. 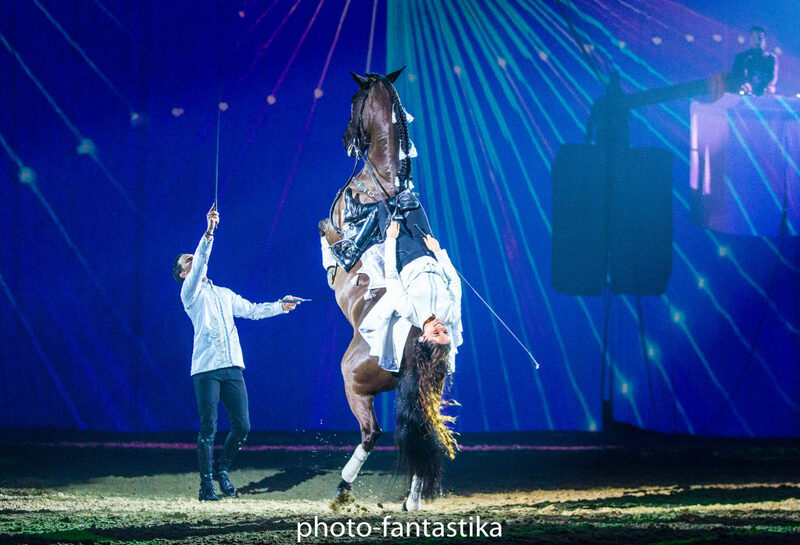 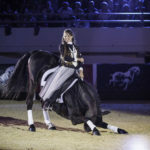 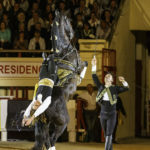 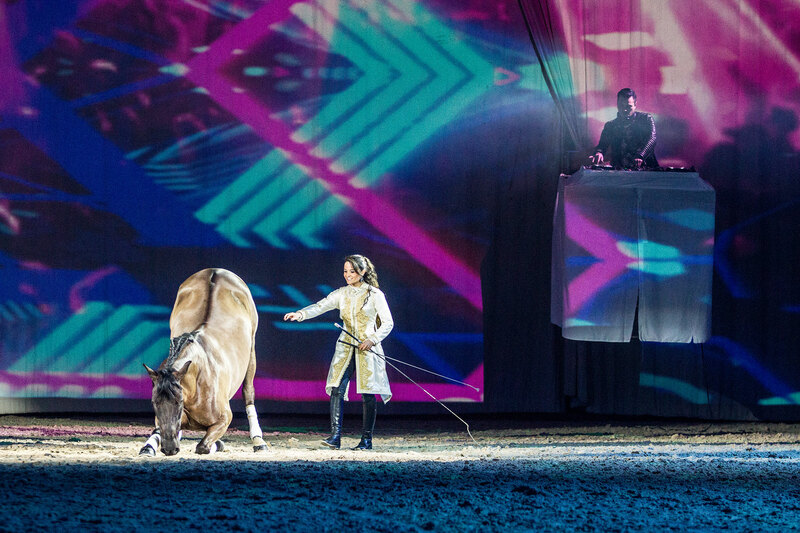 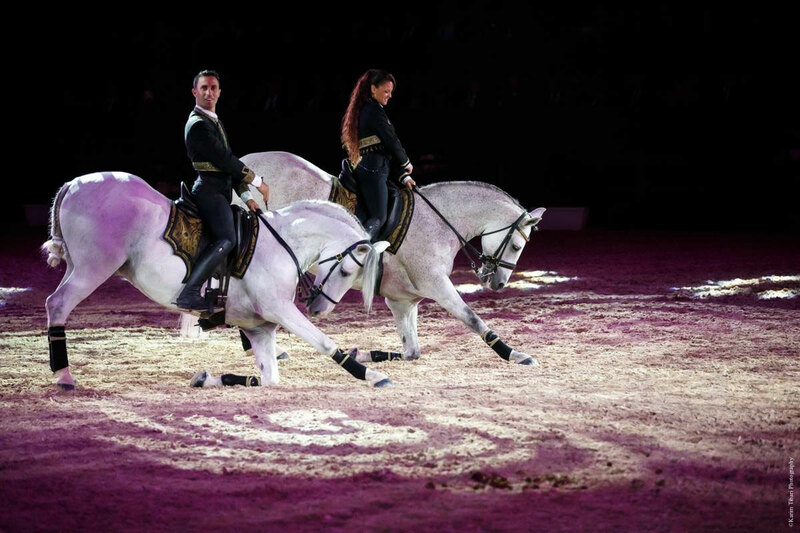 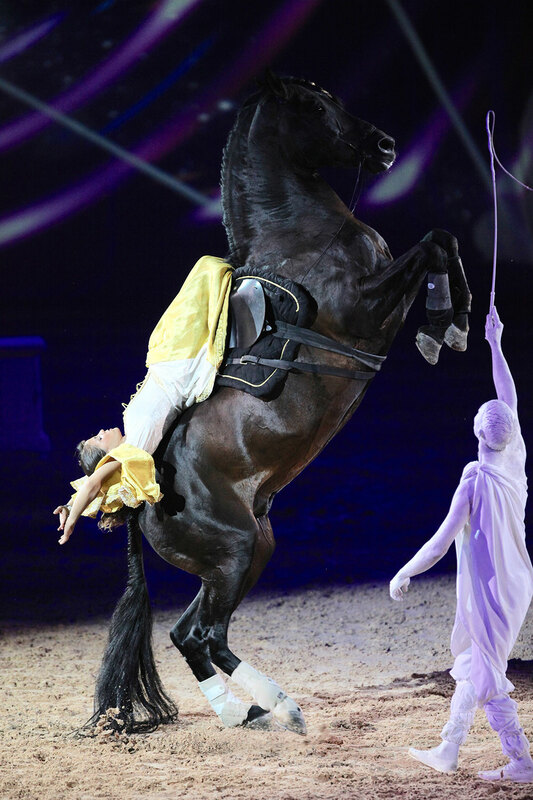 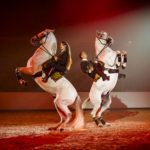 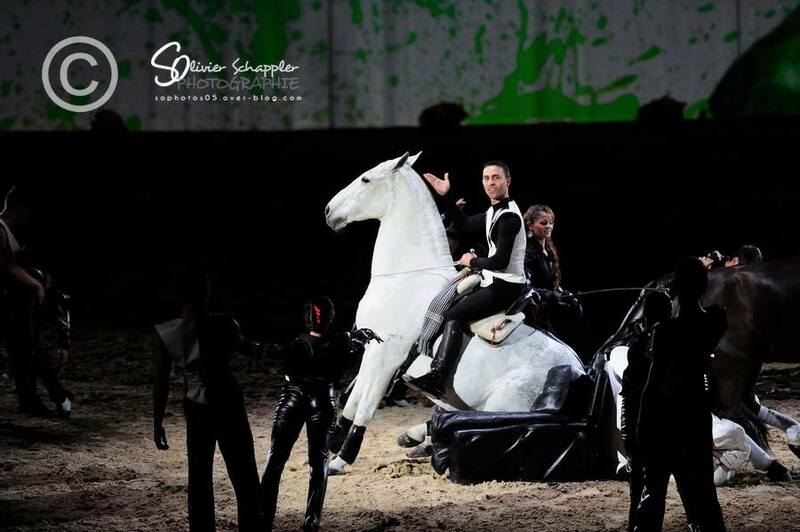 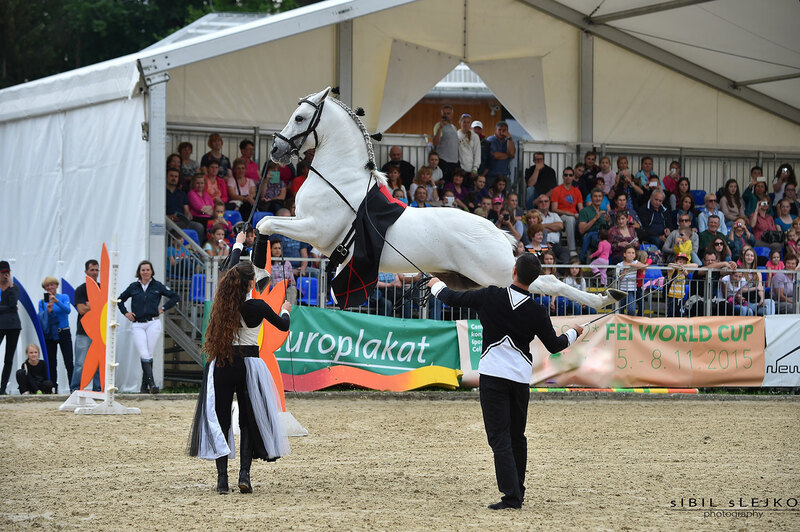 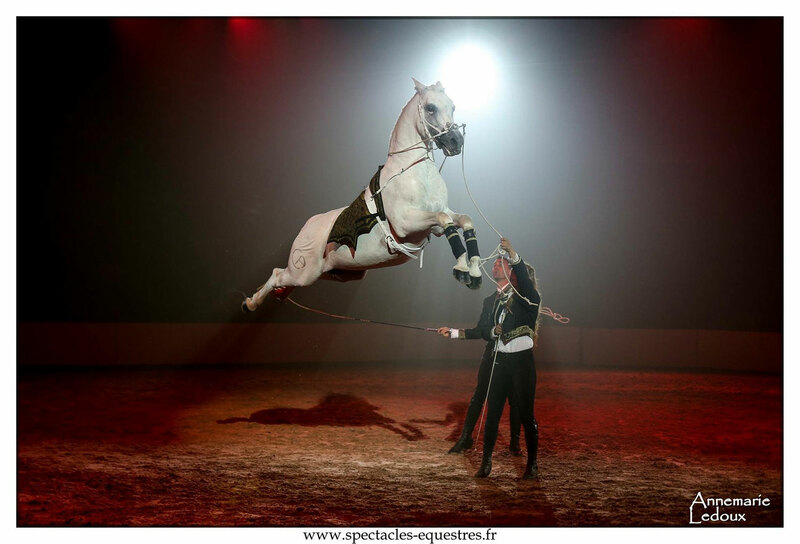 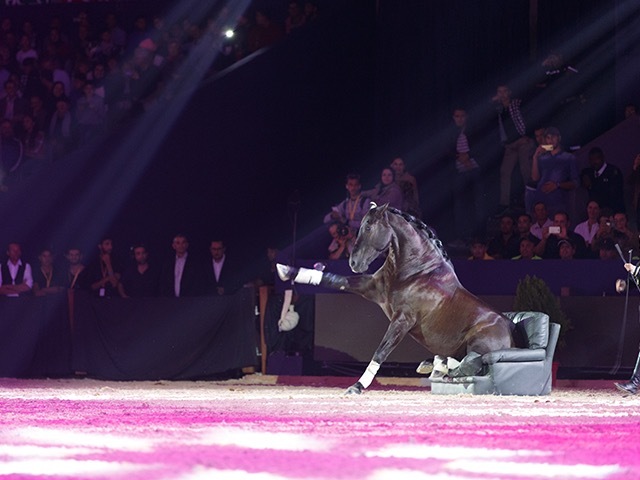 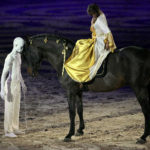 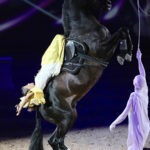 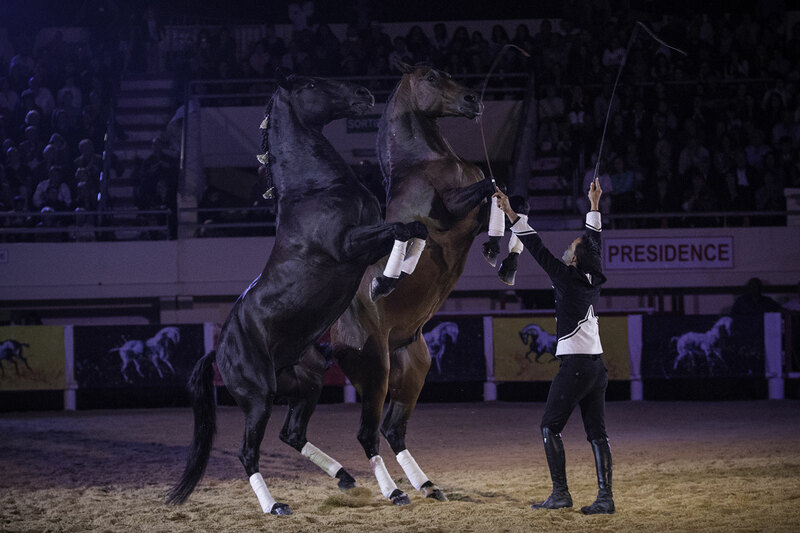 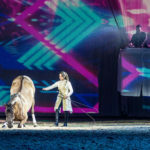 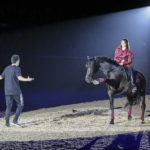 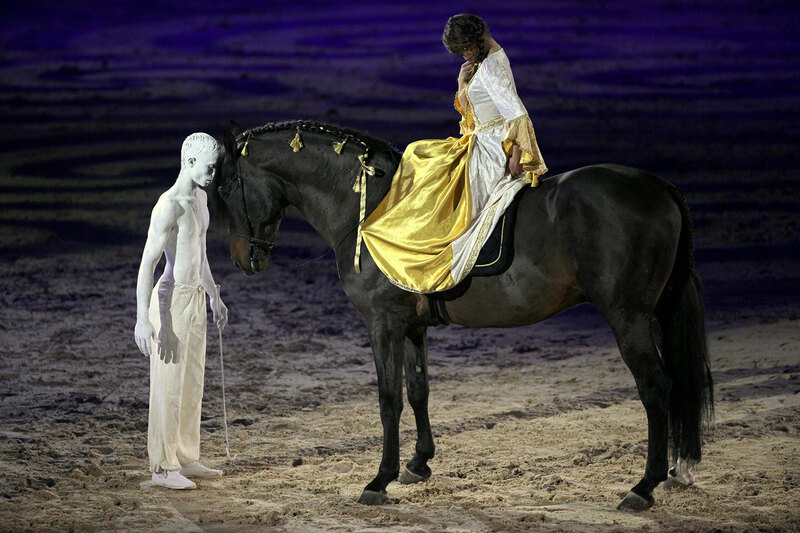 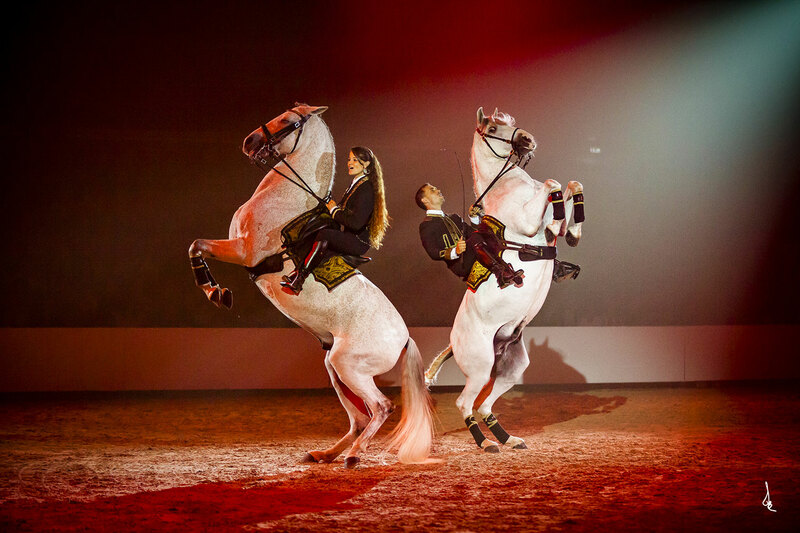 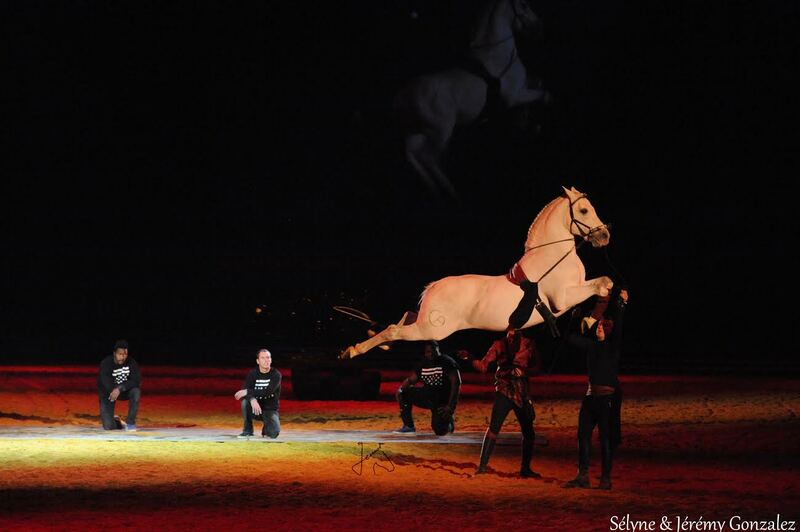 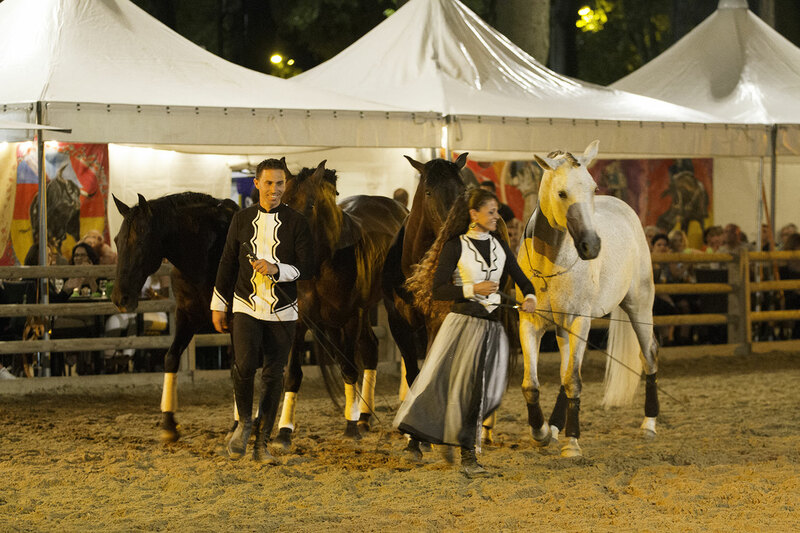 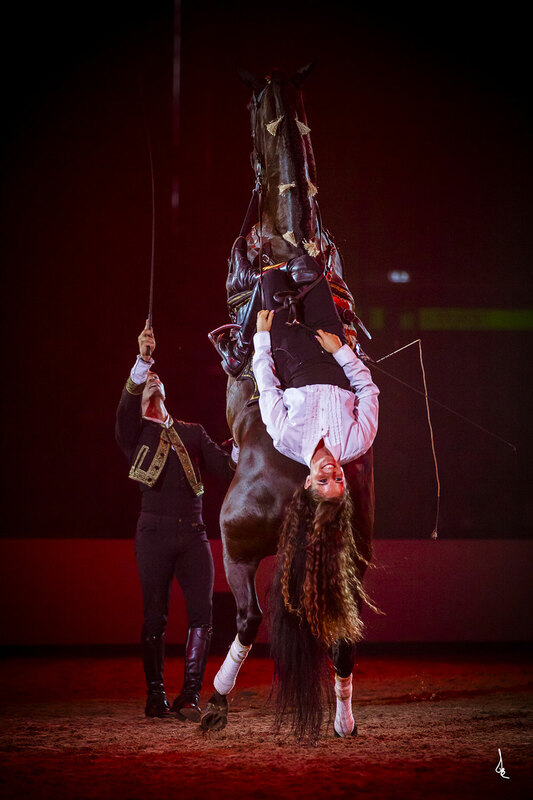 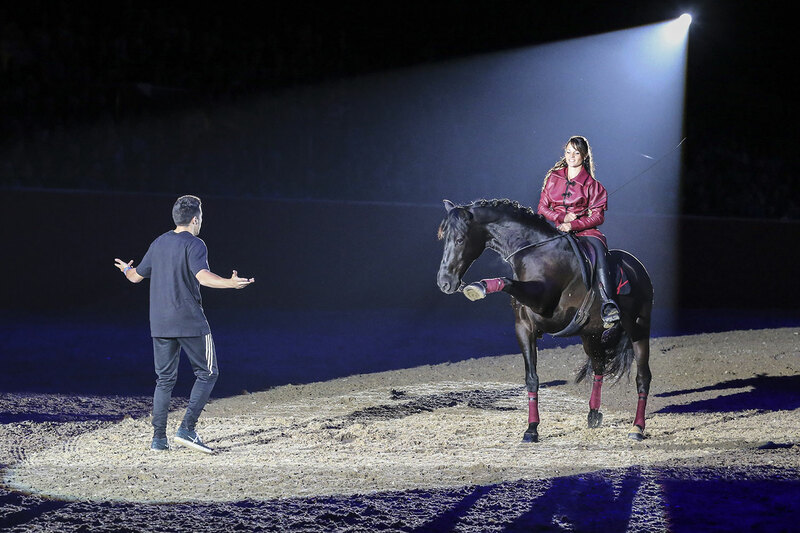 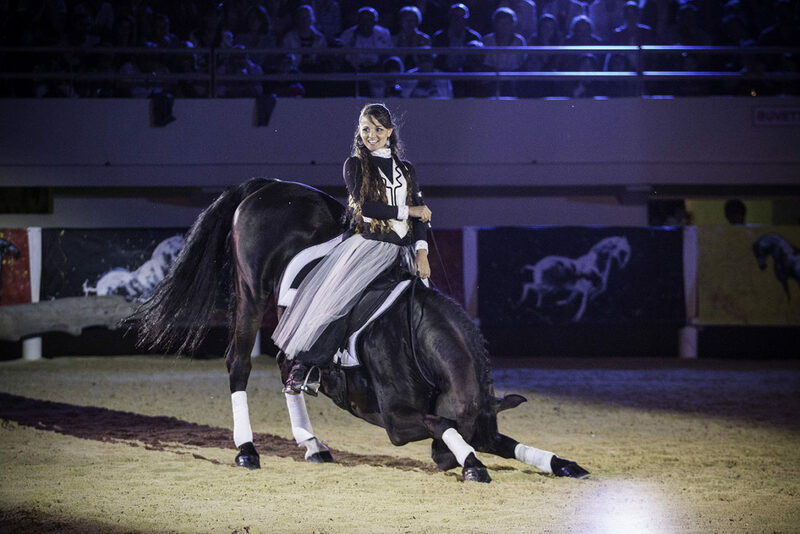 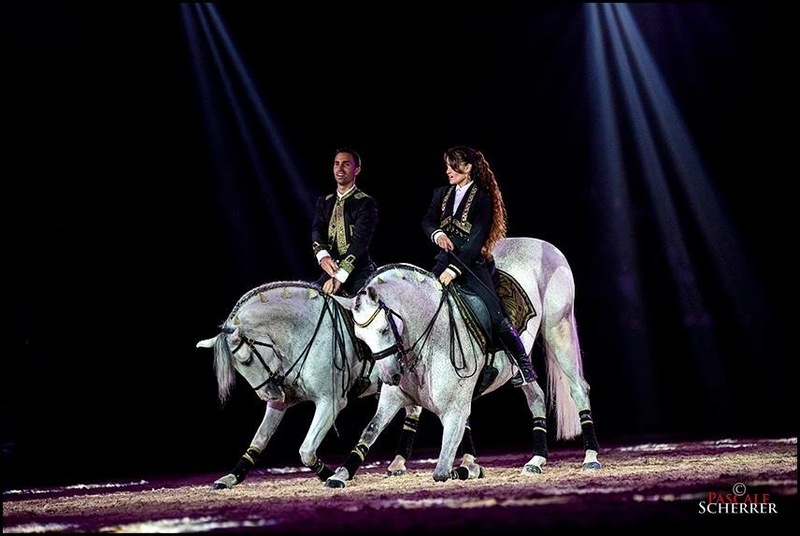 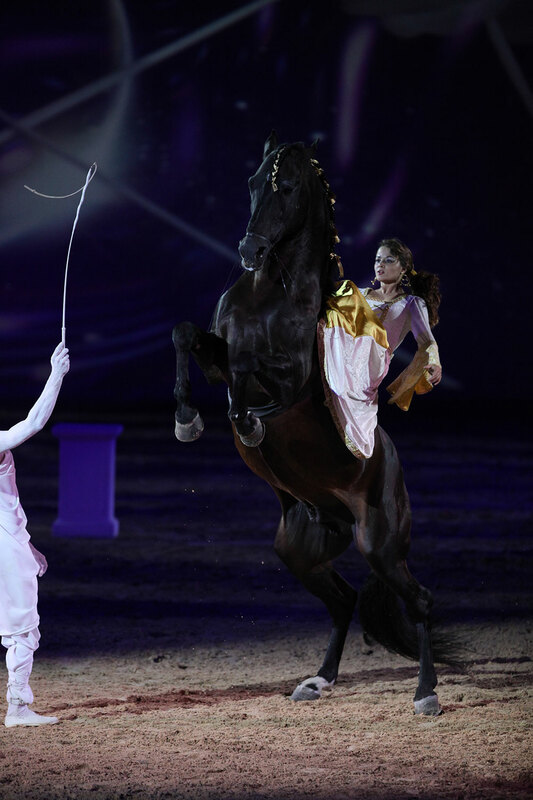 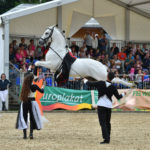 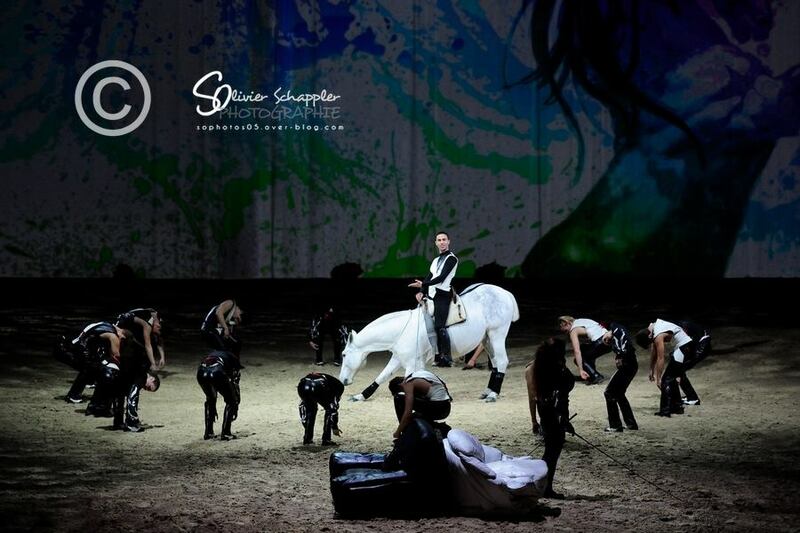 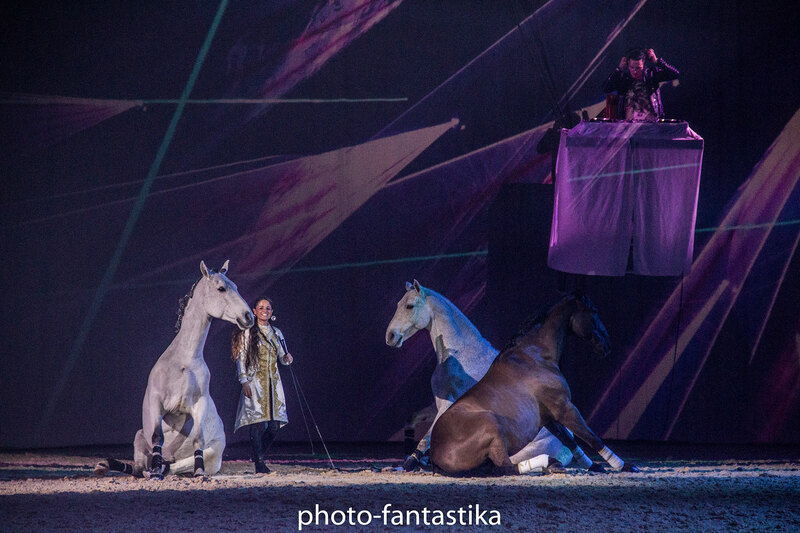 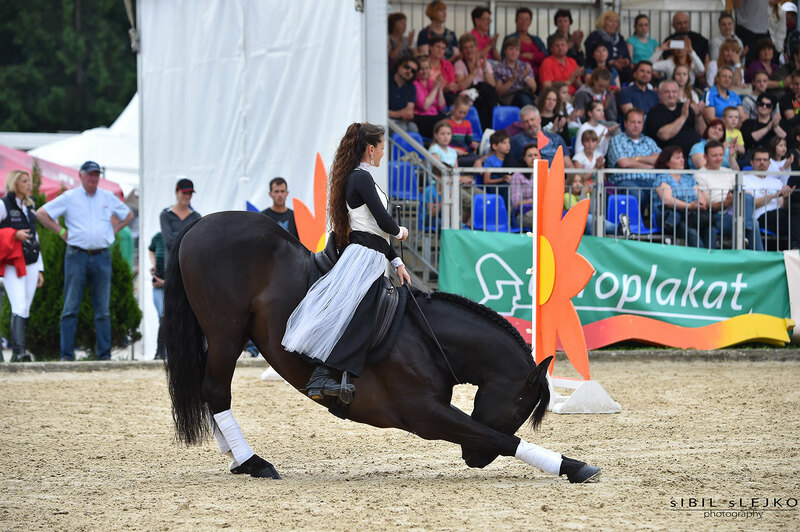 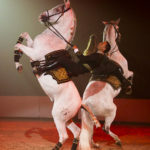 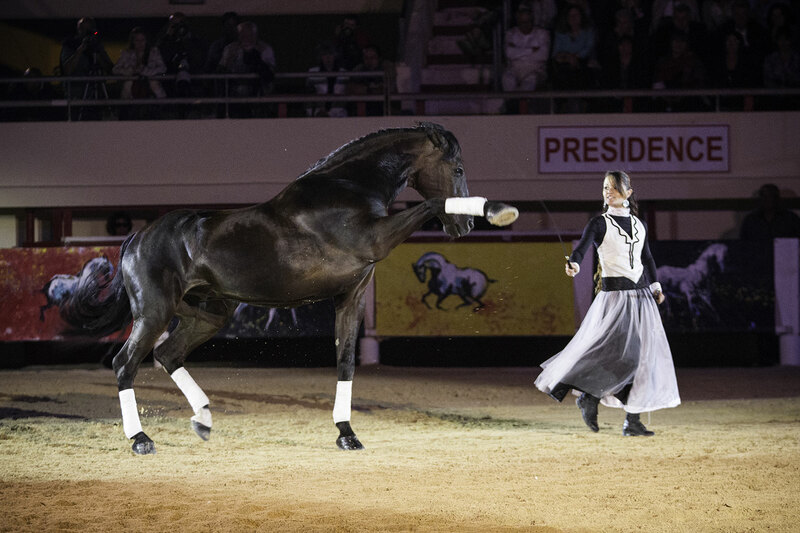 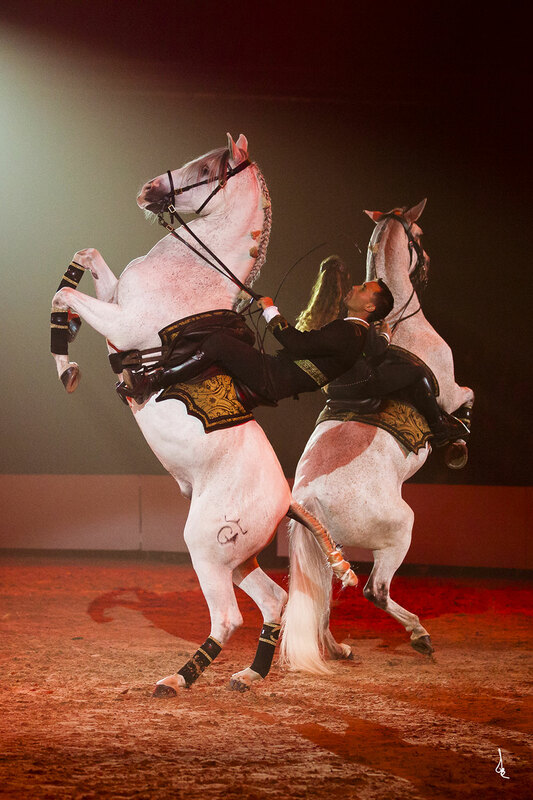 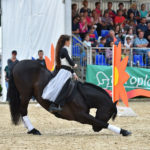 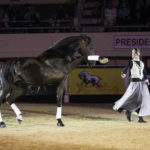 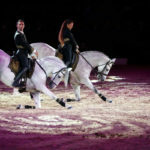 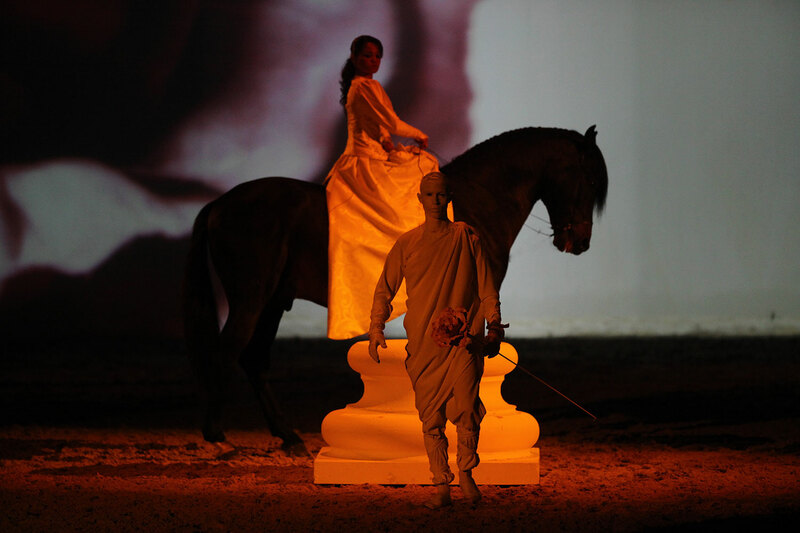 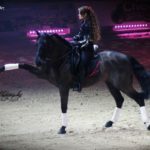 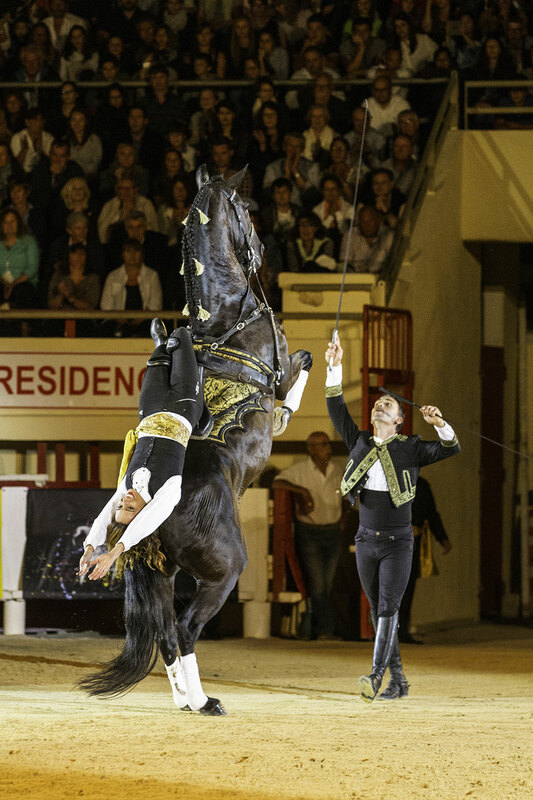 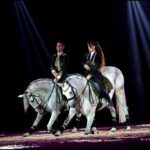 Performances of Sélyne & Jérémy are adapted to suit fairs, special events, horse shows and galas, private celebrations, jumping and other international competitions. 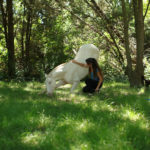 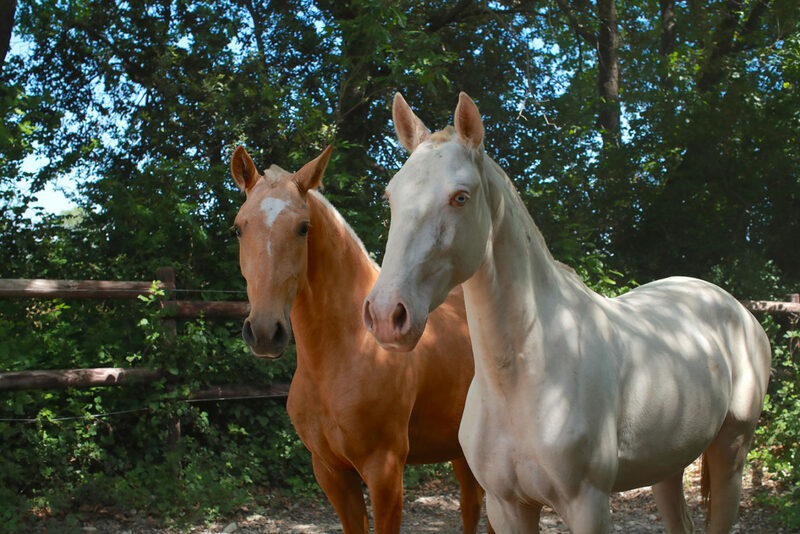 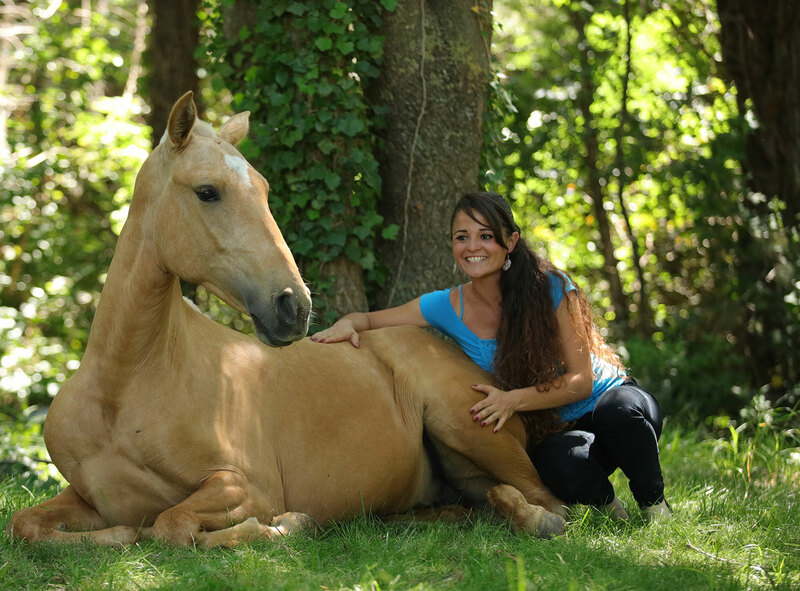 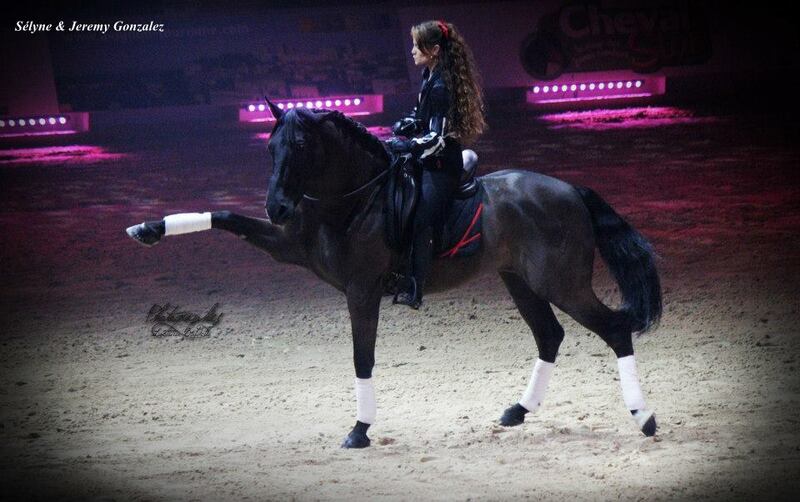 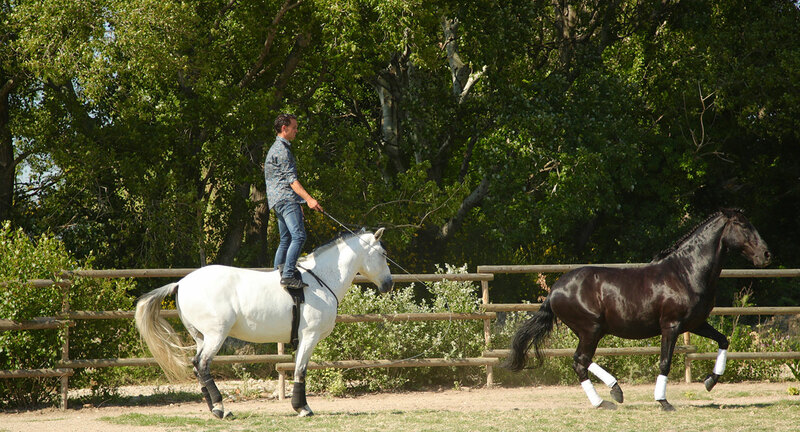 Harmony and complicity between humans and horses are so strong and intuitive, that they totally merge. 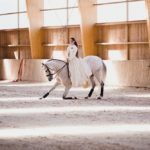 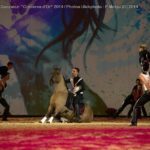 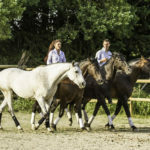 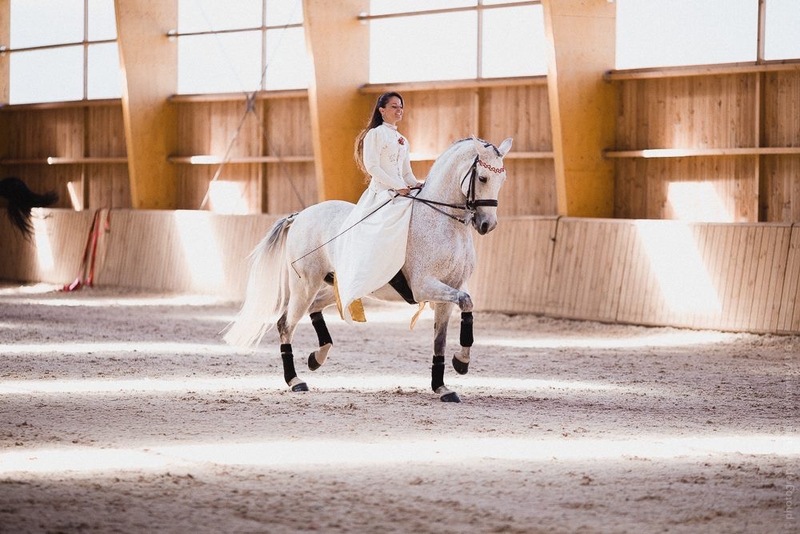 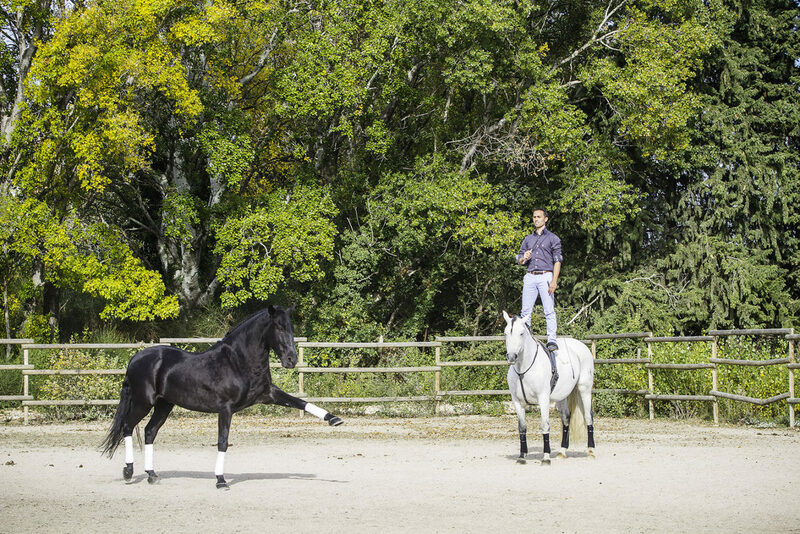 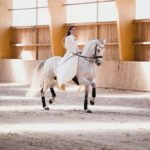 Sélyne, Jérémy Gonzalez and their horses execute the most complex figures and technical exercises of High School dressage, without bridle or snaffle, horses being totally free. 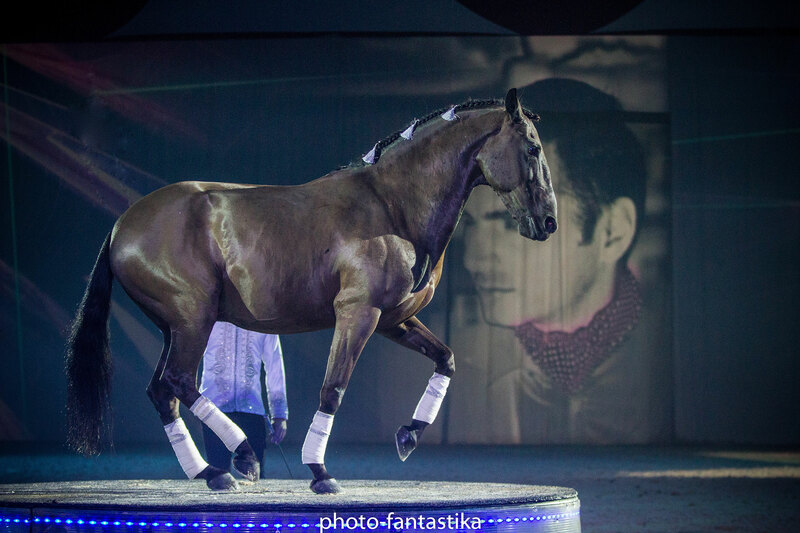 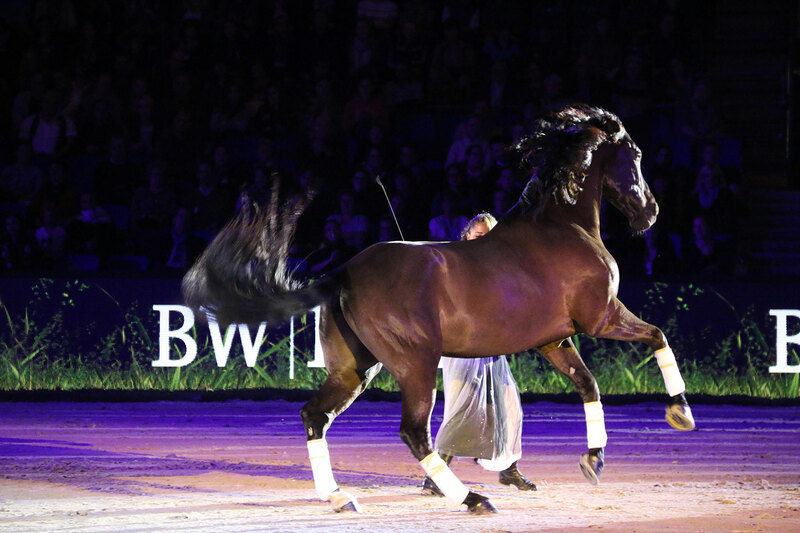 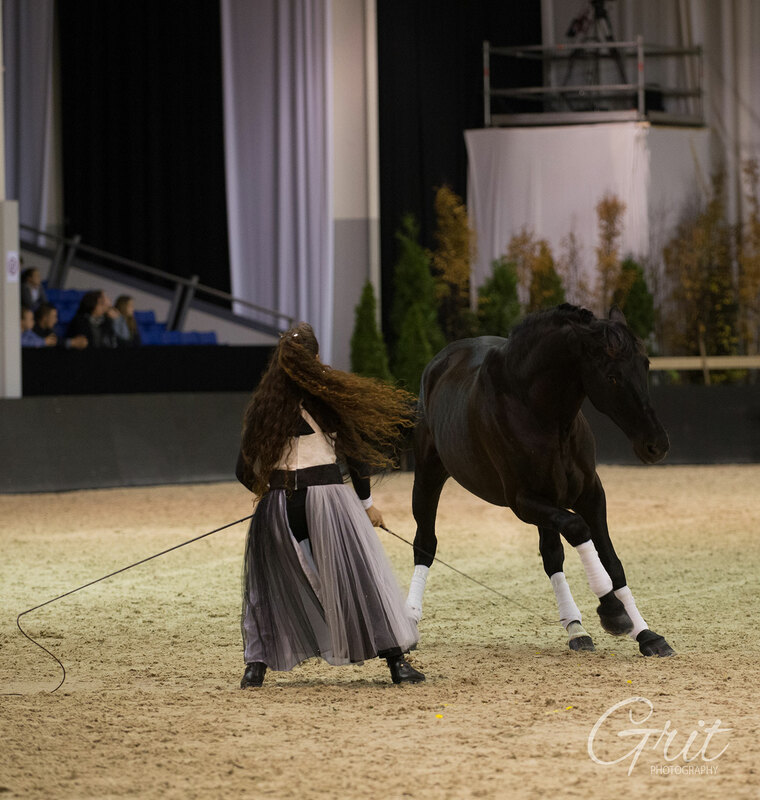 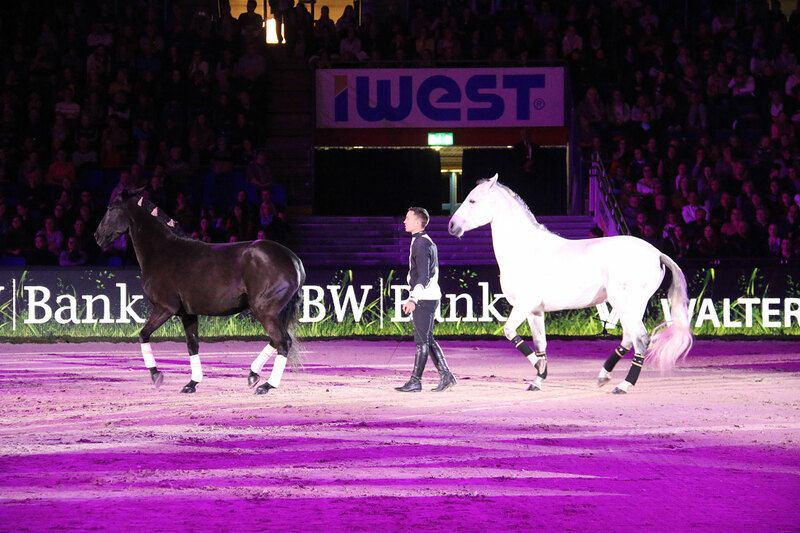 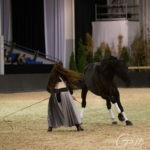 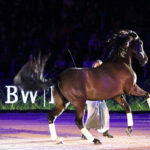 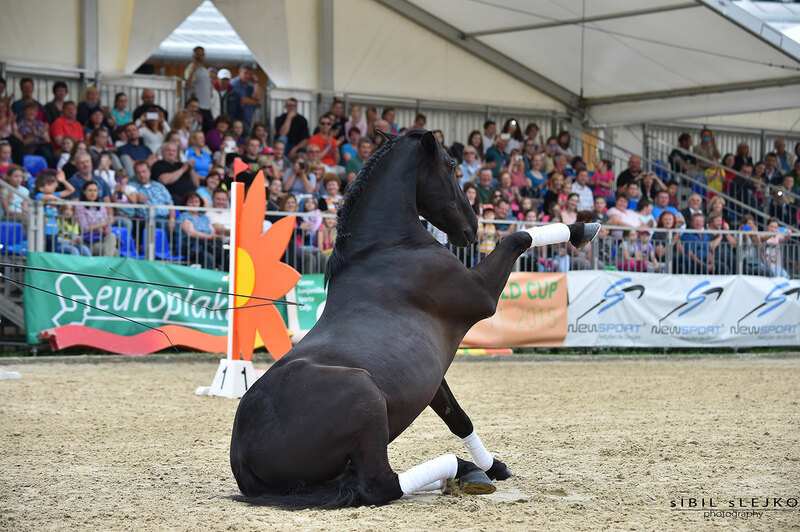 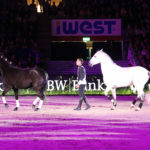 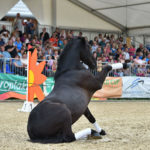 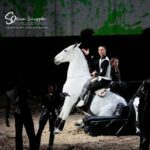 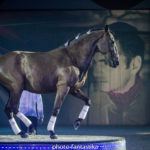 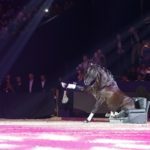 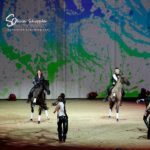 Their generous and expressive equine partners take the floor and express their talent freely with that brilliance that made them famous beyond borders. 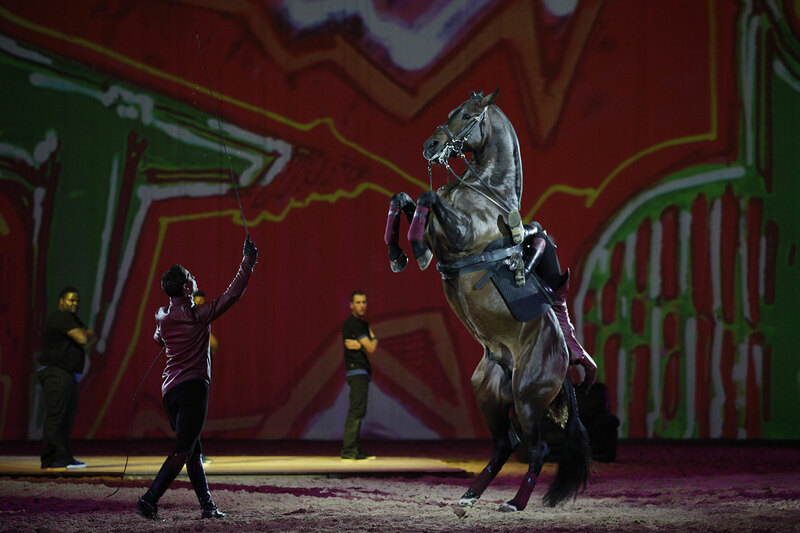 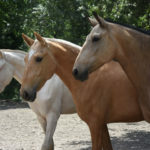 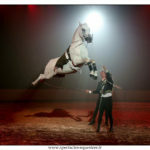 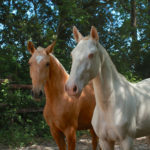 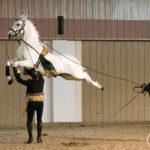 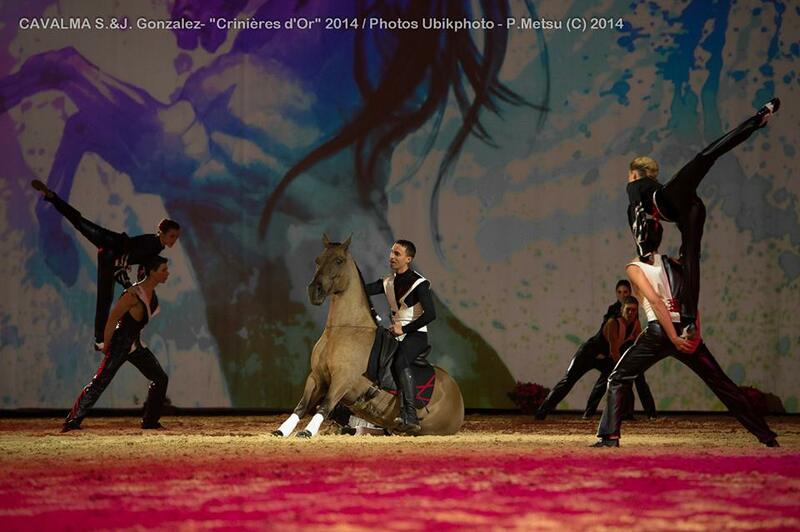 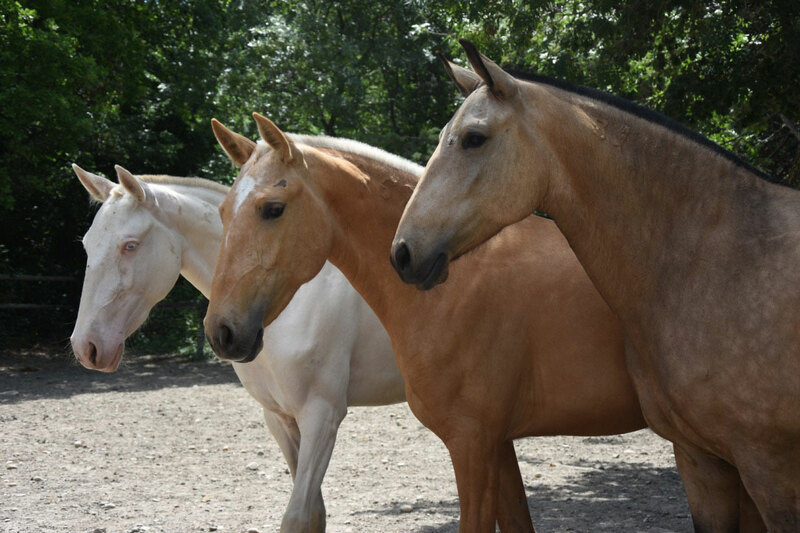 Versatile and diligent, the Gonzalez Horse Show horses are regularly performing at special events or private parties. 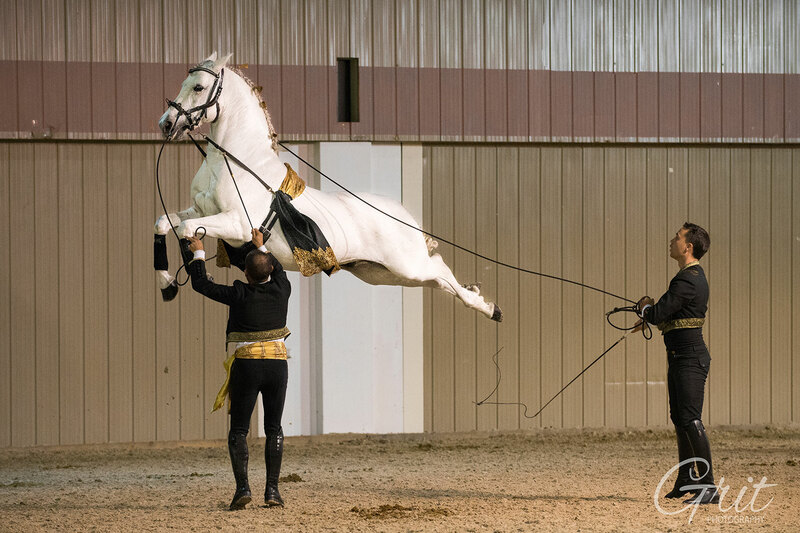 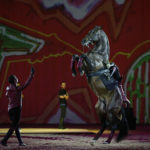 Capable of appearing even in unusual places, artists and their equine partners are perfectly trained and flexible to adjust to all kinds of request and novel original programs. 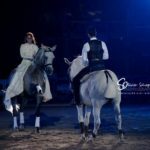 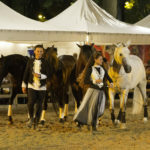 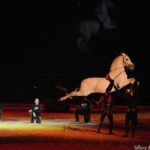 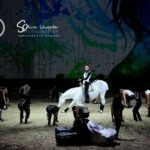 Thanks to their huge experience of international competitions, top-end shows and special events, the Gonzalez Horse Show team can offer you customized acts and services, perfectly adjusted to your event and to your needs.